At Health Matters Chiropractic Centre, we take your health seriously. We understand that there is no simple 'one-size-fits-all' approach to healthcare. That's why we tailor our treatments to suit your individual needs – all in an effort to provide care that fits every patient's unique definition of health. Fill out the form on this page with your personal definition of 'what health means to you', to receive an additional 15 minutes for your first massage! Chiropractic care is not restricted only to the joints of the spine and is a safe and effective treatment for adults, children and seniors. Our chiropractors will treat your pain by addressing the cause, assisting your body to heal itself naturally, letting you live life to its fullest. Chiropractic is a conservative approach to health that avoids invasive surgery or medication. Chiropractic care is safer than back surgery, muscle relaxants, and even aspirin. A comprehensive history and examination shows the exact areas of the spine that may be causing joint fixation or nerve irritation. This also allows the doctor to determine the best course of care for each individual patient and condition. What are those cracking sounds? They are gas pockets releasing in the fluids between your joints. 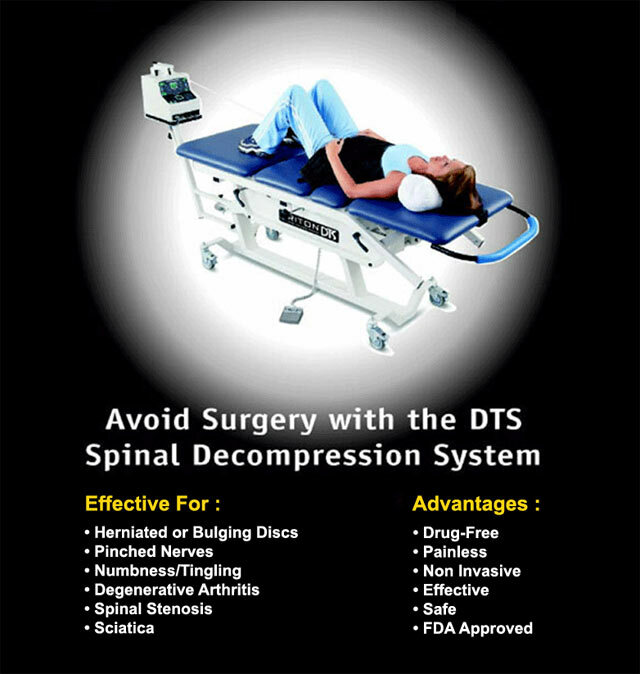 This sound is not necessary for a successful adjustment and it is not your bones rubbing against each other. A chiropractic adjustment is the use of a specific force in a precise direction that helps normalize spinal function. 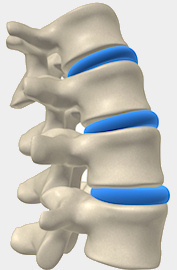 The adjustment is applied to a joint that is fixated, "locked up", or not moving properly. Adjustments help to re-align your spine and add motion to the spinal joints, thus helping your spine gradually return to its normal position. By doing this, the adjustment releases tension or stress from the surrounding spinal nerves and spinal cord, leading to relief, improved nerve function and ultimately improved health. If I start chiropractic care do I have to keep going forever? Absolutely not. Similar to exercise, a person can begin, stop, or continue chiropractic adjustments as desired. Spinal adjustments do not have an addicting effect, nor do they create a condition whereby a person is worse off after receiving spinal adjustments. Simply put, regular chiropractic check-ups and adjustments help to ensure that you can enjoy your life to the fullest extent in a body that feels and performs at its personal best! Individuals, in all walks of life can enjoy the benefits of massage therapy. If you are a stressed-out executive, a student, a laborer, a stay-at-home mom or a professional athlete, massage therapy will aid you on the road to recovery, well-being or maintaining your level of health. Massage therapy can help release muscular tension and pain, reduce mental and physical fatigue, reduce stress, and promote faster healing. Is it safe for a woman who is pregnant to receive massage therapy? Yes. Massage therapy has been proven to be safe and effective in treating the discomforts of pregnancy. Consult your physician before seeking massage therapy. Yes. Research shows that infant massage helps stimulate growth, improves digestion and sleep patterns and is an effective means of bonding for the infant and parent. Our treatment will focus on balancing and harmonizing the entire person, often enhancing immune function and overall wellness. 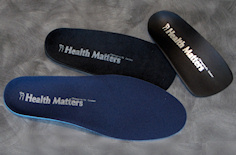 Orthotics help to restore the normal balance and support to our feet which are the foundation of our entire body. Our chiropractors will perform a biomechanical evaluation of your feet and create foam molds which are sent to an Orthotic lab where a custom made orthotic appliance is created. Health Matters Chiropractic Centre also provides patients with phototherapy, also known as light and laser therapy; a safe and highly effective treatment method that offers a rapid, drug-free, non-invasive healing solution. The MedX Phototherapy Treatment Systems enhance patient outcomes by accelerating tissue healing, reducing pain and decreasing edema and inflammation. By incorporating phototherapy treatments, patients will experience improved treatment results for a number of conditions such as: arthritis, muscle tension and spasms, acute and chronic pain, post-operative wounds, carpal tunnel, tendonitis and other types of conditions. 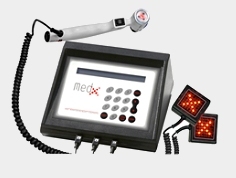 The MedX devices provide unique advantages to other forms of phototherapy for the varying needs of patients. Phototherapy uses light energy to penetrate the skin's surface and underlying tissues. Much like photosynthesis, phototherapy provides light energy to your body's cells to increase their function and to stimulate your body's natural healing process, safely and easily. Phototherapy has been shown to accelerate healing by 40% and it can be used on patients of all ages. Do you require orthotics, compression stockings or custom bracing?